If you like piña coladas and getting caught in the rain…now I have that song stuck in my head! Wondering what in the heck piña coladas have to do with this post? Pineapple, that’s what! 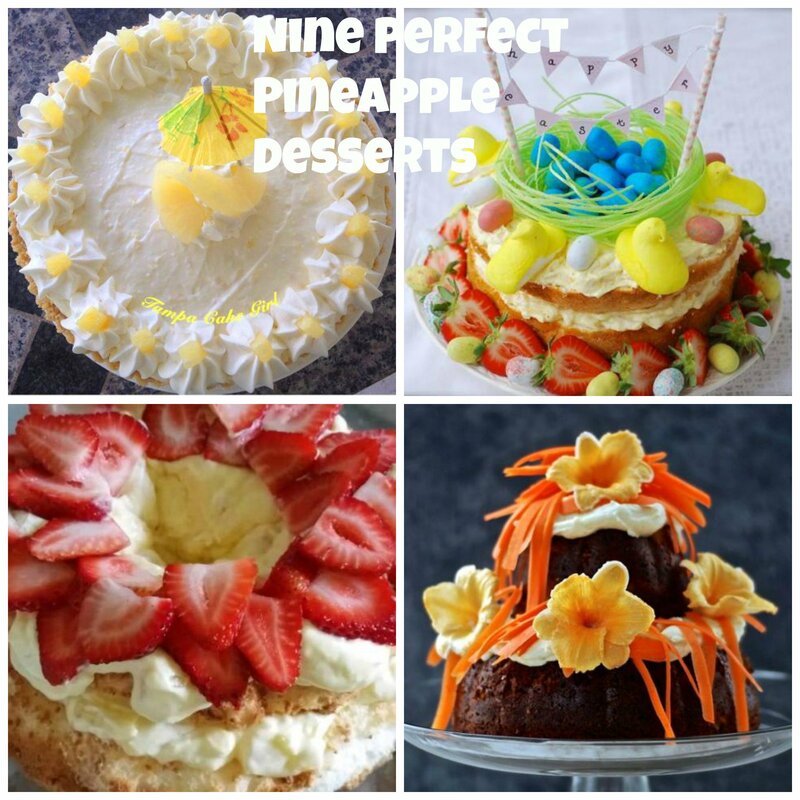 Check out these 9 amazing pineapple desserts for your pineapple pleasure! You’ll find everything here – pineapple poke cake, plated piña coladas, piña colada cupcakes, pineapple coconut bars, and more! You’ll definitely have that song playing in your head as you try these incredible desserts! Delicious combination of toasted coconut and juicy pineapple, together with a shortbread crust! A delicious and quick dessert that you can put together if you need a last-minute dessert. Only 4 ingredients needed to make this creamy frozen pineapple pie! The pineapple and brown sugar caramelizes in the cupcake pan which puts the flavor over the top! Since they are cupcake-size, you can have more than one…I won’t tell! A richer version of the usual carrot cake, with homemade vanilla cream cheese frosting and decorated with carrot shavings and crystallized daylilie! Poke cakes are so delicious and fun to make. If you love moist delicious cakes, then this cake is for you! I love pineapple! These recipes sound delicious!